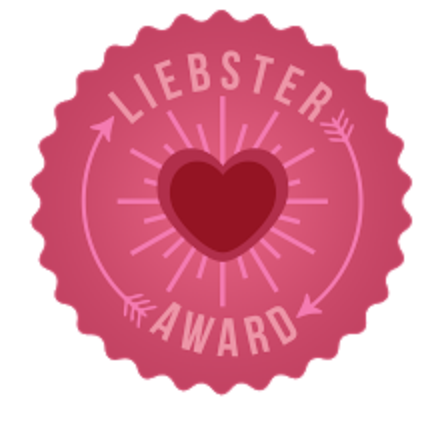 The Liebster Award is an award for new blogs. Liebster is a German word that means: BELOVED, CUTE, LOVELY, DEAREST, and WELCOME. 2. Any advice for other new bloggers? 3. What is your favorite/most effective social media site? 4. What blogs do you like best for creating/technology/selling tips? Hmmmm..... I see an area for growth. 5. What new trend in teaching do you love? 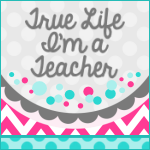 Purchasing all of my materials from TPT for teaching!!!! 6. What new trend in teaching do you hate? Evaluations! Evaluations! Evaluations! Then publishing them to the public without a true measure. 7. What is your favorite junk food? I have a sweet tooth. Anything with sugar. 8. What is your favorite thing to do over summer break? Travel. Every year I take my family to a new state on vacation. A lot. I work on something every day. 10. What would you do if you weren't a teacher? Lay on the beach and read!!! Don't give up. It's hard but it's worth it. This is a great community of helpful, supportive, and amazing teachers! Does Daily 5 count? How new are we talking here? anything with sugar. I am a sugar addict. Read.Go to the beach. The two together is heaven. Ummm. I'm not sure I ever stop unless I'm sleeping. I have no idea. I can't imagine doing anything but this. 11. Do you have a facebook page? If so, have you ever done a blog hop? (Because I would love to be part of one! ;) haha! I have a personal Facebook page. Would love to do a blog hop! So fun! 1. I am petrified of elephants. 2. I love to read though I rarely do. 3. I was voted "Most Talkative" in high school. Go figure. 4. This is my second year teaching in a public school and my second year teaching first grade. I have taught kindergarten my whole career. 5. I HATE to exercise. Hate it, hate it, hate. Did I mention I hate exercising? I only do it because I have to! 6. I like country music. 7. I have a little obsession with purses. 8. I still cannot do percentages in my head. Thank goodness there's an app for that. I am sooo bad at math! 9. I talk in my sleep. I cannot believe I just admitted that! 10. Cape Cod is my favorite place on earth. #1- Link back to the blog that nominated me. #2- Nominate 5-11 blogs with fewer than 200 followers. #3- Answer the questions posted to me by my nominator. 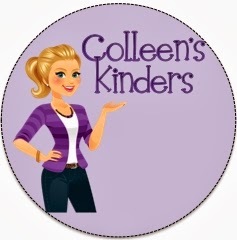 Well hello cute blog!!!! You are so neat and organized. I rarely have the patience to change the font when I import text. lol. I have lots of room for growth. I love that you put EduClips down for creative website. I love Sarah a lot. She probably thinks that I'm a stalker.